"Like crabs in a barrel." These are just a few of the quotes I remember hearing growing up when the topic of competition came up. Although a novice blogger, I've already seen the fangs of competition try to seep themselves into the egos of many. But do we have to let it? 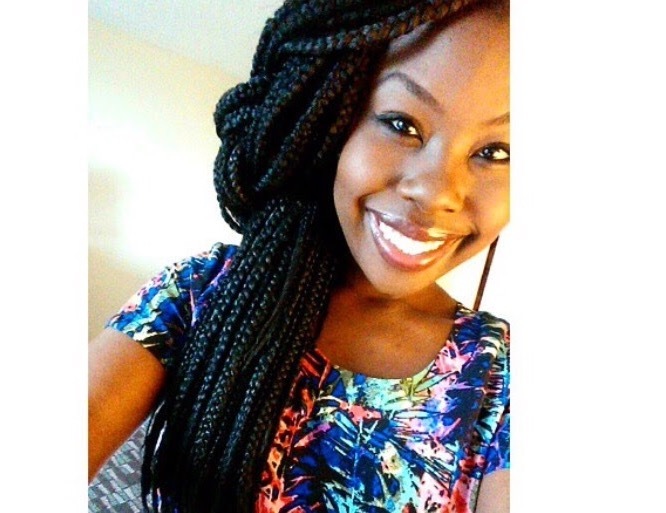 I've had several amazing encounters since I've launched my blog! So many phenomenal people with great content on their pages. Seeing other people thrive in the blogging world excites me! It inspires me to aspire to be more and do more. This inspired me! Let's be real. Blogging is a well saturated community with over 150 million active blogs! Yep... you heard me right. Over 150 million! Now before you delete your blog out of hopelessness, shift your perspective. This could be viewed as YOU having a PLETHORA of resources to learn from. 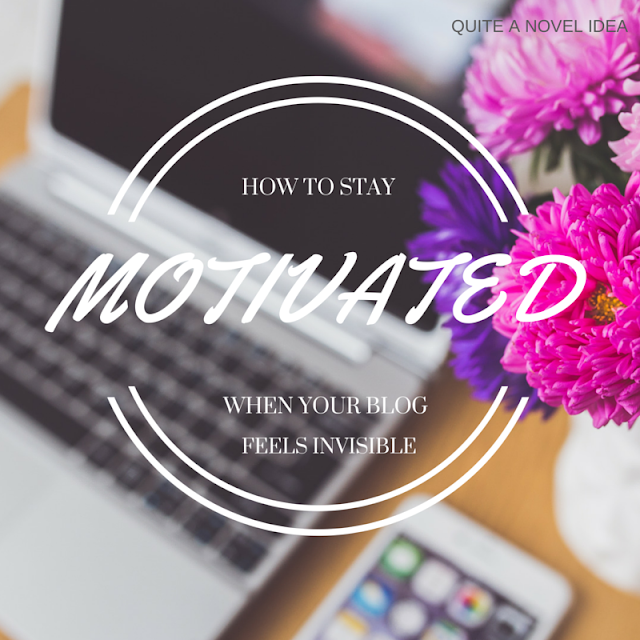 I've been told that things I'm doing are inspiring and other bloggers have asked me for tips, resources and more. Some people have said "They're stealing your shine!" "Don't tell them how you did it. Let them figure it out, like you had to figure it out." If this was all of us (which I know it's not), none of us would get anywhere. Most of us learned what we know from someone who chose an open hand rather than a clenched fist. Now, I know , I know. You're probably thinking, "But Jenn! I don't want them to copy what I'm doing! What if they get further along than me? What about ME???" Granted, this is not a "Tell everyone everything you know and use no discretion!" post. This is simply to remind us that we don't have to choose cynicism in order to ensure our own success. 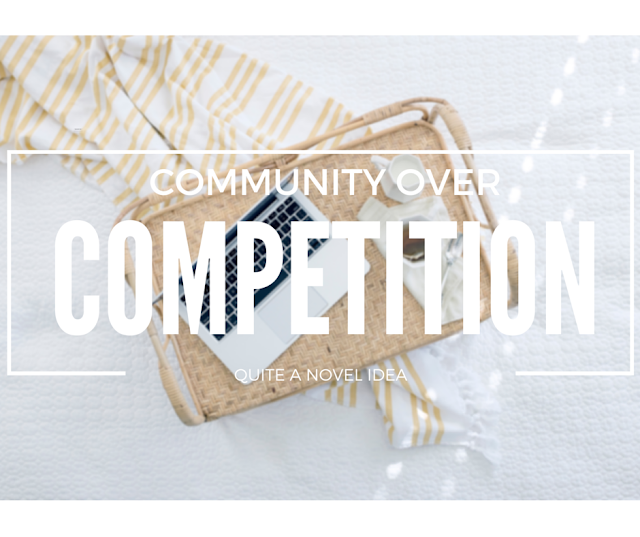 What do you think about #CommunityOverCompetition? Have you benefited from others helping you? Blogging wouldn't be blogging without my community! It actually hurts my heart a little to hear that there are bloggers out there who are so aloof and unwilling to help or offer advice. I would be willing to bet, however, that those bloggers will be the ones to burn out and quit within the year. If blogging for seven years has taught me anything, it is that you cannot do this long-term without a support network behind you to boost you up, provide you with honest feedback, and to help you brainstorm when you are stuck. What a great post Jenn (and hi!). This is so true... we're prone to view contemporaries as competitors when we shouldn't. I love the candle quote - it sums it up perfectly! I love the idea of #CommunityOverCompetition. The internet is one of the rare places where you can truthfully be yourself without the reservations we may normally faced in day-to-day life, or you can say everything you want without taking any consequences. I have always taken the stance that, "Copying is the greatest form of compliment." Though it may discourage you if someone takes your idea and makes more [ money / popularity / likes / what have you ], if you do it for yourself there is no reason to be ashamed because yours wasn't the best. If you do everything for yourself, then you have nothing to be ashamed of, and everything to be proud of in those who succeed. So why not make it a friendly space for other to approach you so they can get to know you and give you credit where credit is earned?